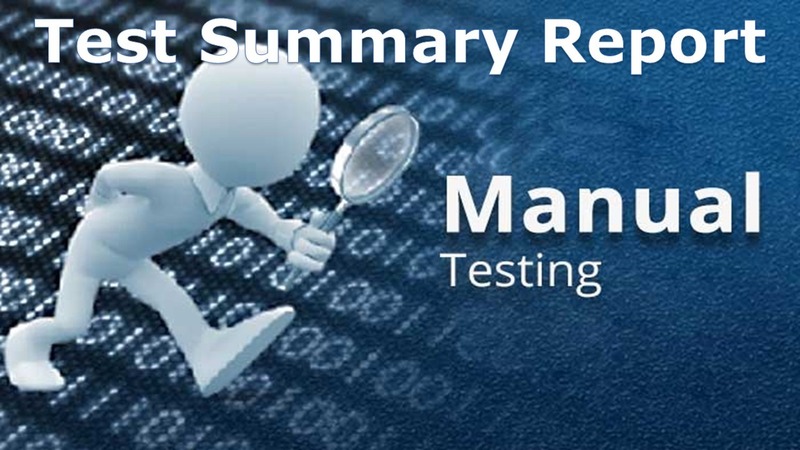 A test summary report is a Quality work product / Test Document that formally summarizes the results of all testing. Test Lead or Test Manager prepares this document at end of the Testing, means in Test Closure phase (Last phase in STLC/Software Test Process. To enable Project management and Customer to know the status of testing status of the project and Application Quality Level. • It has to summarize all test activities based on Quality work products. It is for Internet Banking System Application Version 2.0, IBS (Internet Banking System) has Information, Personal banking, Corporate Banking, Master Data, User Management and Reports modules already. Now in this release some features added to Personal Banking Module and One New module “Small Business” added. Test Plan, Test Case documents, Opened and Closed Defect Reports, Metrics docs, Review Reports. Project Manager, Release Team, Maintenance Team and Customer (End Users). * On 29-06-2012 Test Summary Report base lined (Finalized).